La Collina dei Ciliegi (Cherries’ hill) is an Umbrian 18th century’s farmhouse situated in the Middle Tiber River Valley at about m. 300 above sea level, between Perugia and Assisi and near Torgiano. 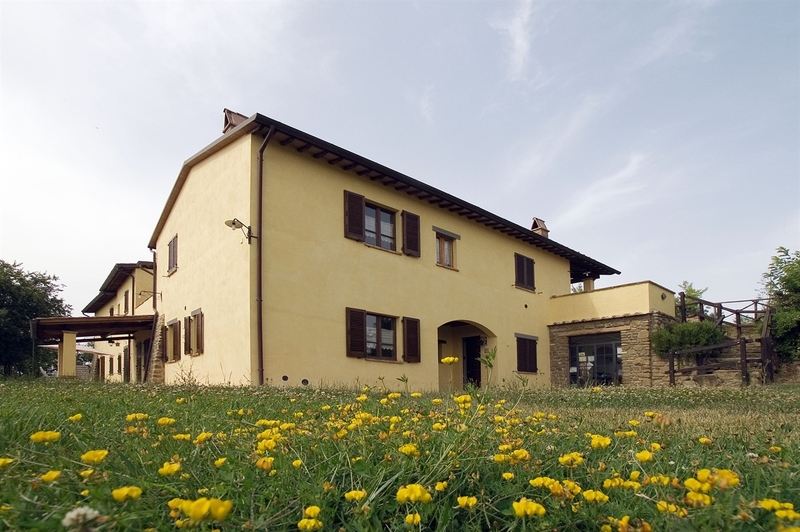 The farmhouse boasts a marvelous sunny position with stunning views: the Perugia skyline, and in the distance Torgiano, Deruta, Mount Peglia and other pleasant places. The olive-grove with of 1000 trees produces a high quality”DOP “olive oil (Protected Origin). From the careful renovation of the original architectural forms and materials nine separate apartments and two double rooms were obtained to offer a very comfortable stay. 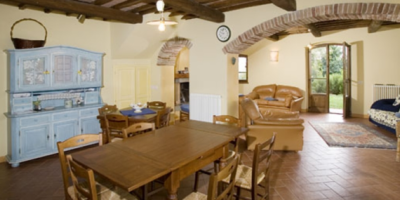 Agriturismo La Collina dei Ciliegi is open all year round for weekly stays Saturday to Saturday or other periods. All linen is provided. A spacious park of 50.000 s mq. completely fenced surrounds the house here you can have a rest whilst enjoying the stunning views, the beautiful swimming pool of 25 meters and a tennis court that are at the center of the park. The barbecue and the big gazebo are available for fresco meals. With a wide range of facilites you will have the chance of practicing several sports, such as: tennis, swmming, horse riding, jogging or organising cultural tours to acheological sites and places of interest in the outskirts. Nearby, plenty of restaurants where you can taste the Umbrian cousine, wines and extra virgin olive oil. Agriturismo La Collina dei Ciliegi, a perfect destination for a relaxing vacation in a peaceful spot of Umbria with the possibility to reach places rich in art, tradition and history in a few minutes.